We are experts at Tracking Labels, Security Labels and Identification Labels for every type of project, at the guaranteed lowest cost and fastest turnaround. Having our ID Labels on your products and equipment makes people aware that you take Asset Tracking seriously. You automatically drive down theft, reduce losses and help keep people honest. Preventing just one theft can save hundreds of dollars! Use our Security Labels to permanently put “Please Return For A Reward” instructions on all your mobile equipment, technology items and tools. Both law enforcement and regular citizens can easily contact you when items are found. Just one lost item return will more than pay for putting Security Return Labels on all your equipment! We produce Equipment ID and Nameplate Labels, and Tags, for all types of products. Our standard labels ship out in 3 days or less. 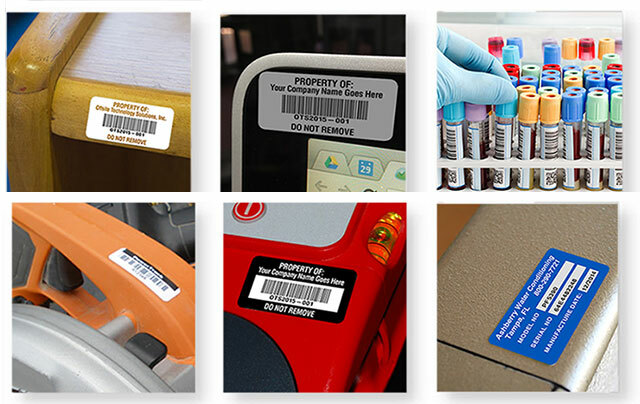 Add unique serial numbers and barcodes to any label, which turns them into Tracking Labels that uniquely identify anything they are applied to. Use our security labels to create Security Return Tags, permanently put “Return For A Reward” instructions on all mobile devices and high-value items. Reduce theft with our White and Silver “VOID” Tamper Evident Labels, which leave behind a “fingerprint” if they are tampered with or removed. Or use our Self-Destructing Labels, which are incredibly difficult to remove, and cannot be removed intact or transferred to a different product. Small and Large label sizes, to fit any place you need them, ready for quick delivery. 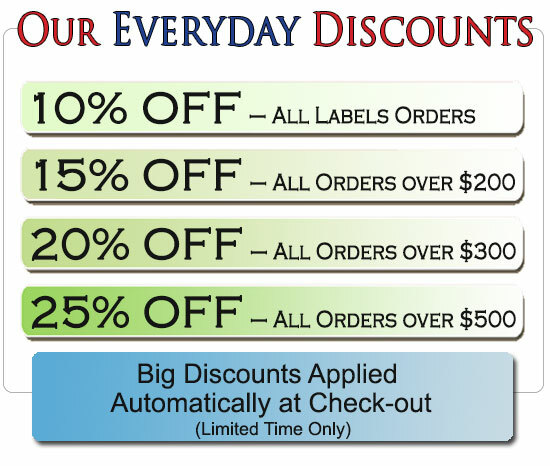 Order as small as 100 Labels for $49.